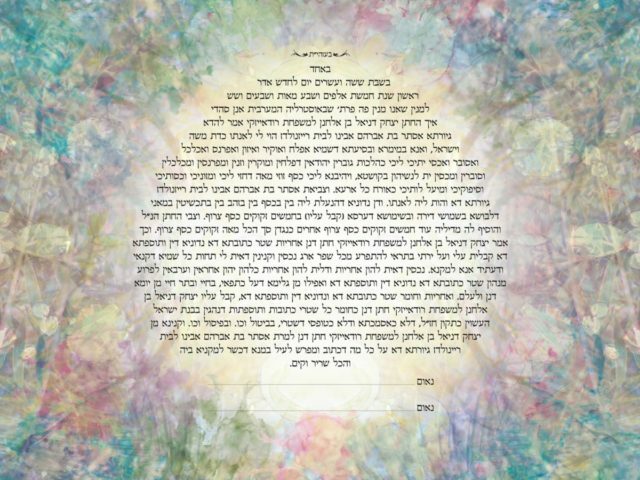 These Ketubot blend the notions in this quote together to paint with all the colors of the wind. 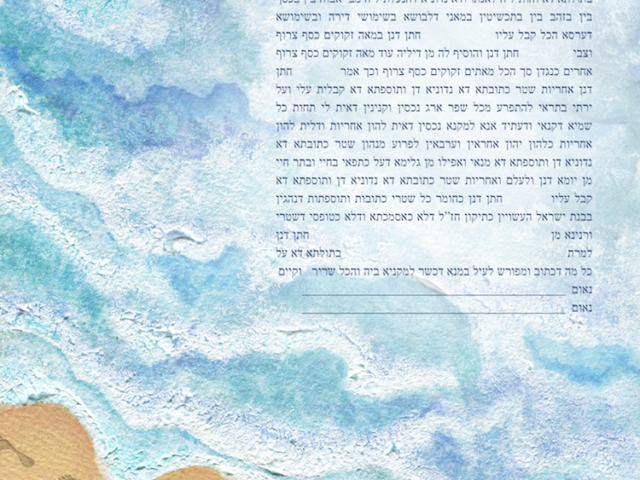 Our world and our lives are saturated with a palette of beautiful colors. 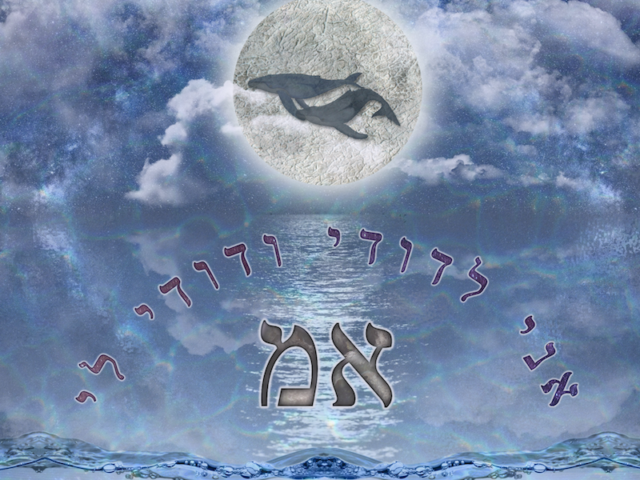 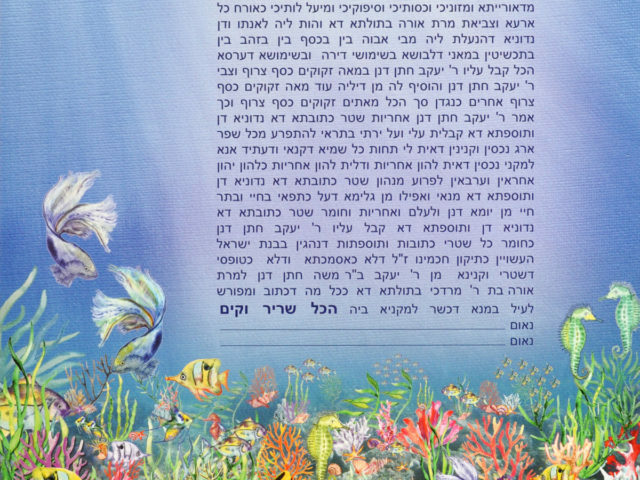 Exciting and dazzling, colors crown the beauty of nature, from under the sea to above the stars. 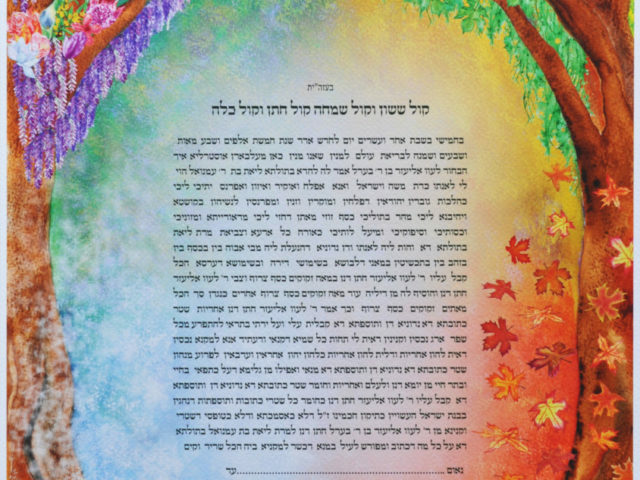 These Ketubot celebrate the spectrum of color in all its vibrancy and vitality. 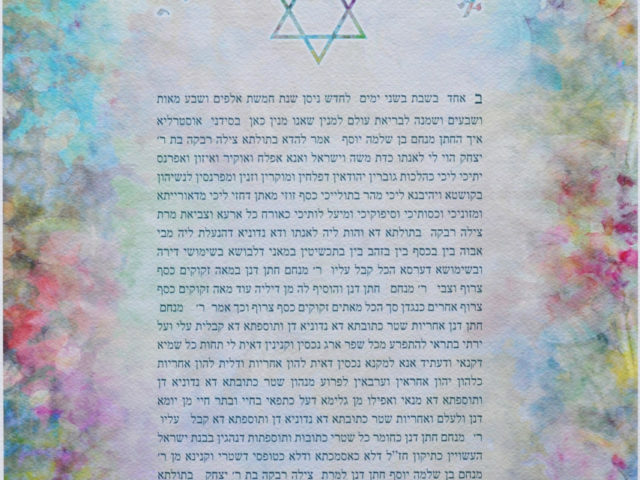 Heralding either multi color combinations or complementary color harmonies, this emphasis on color visualises the way love colors our lives. 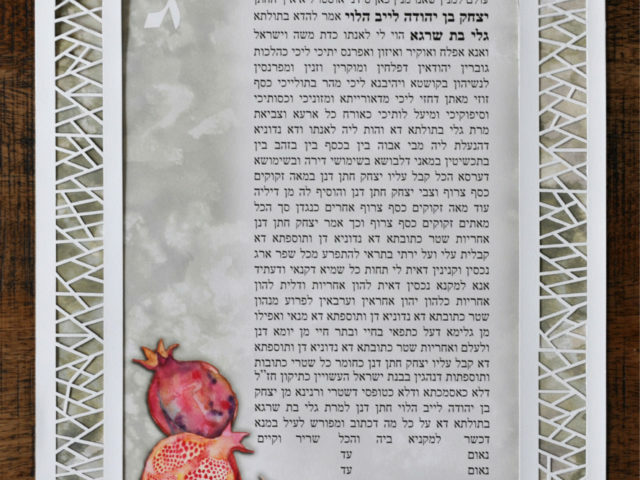 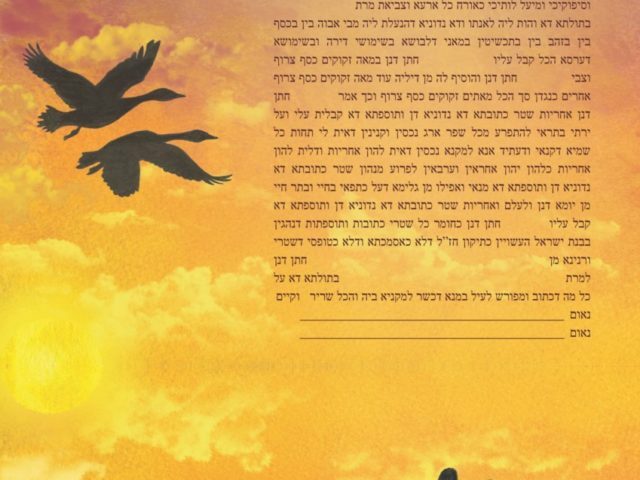 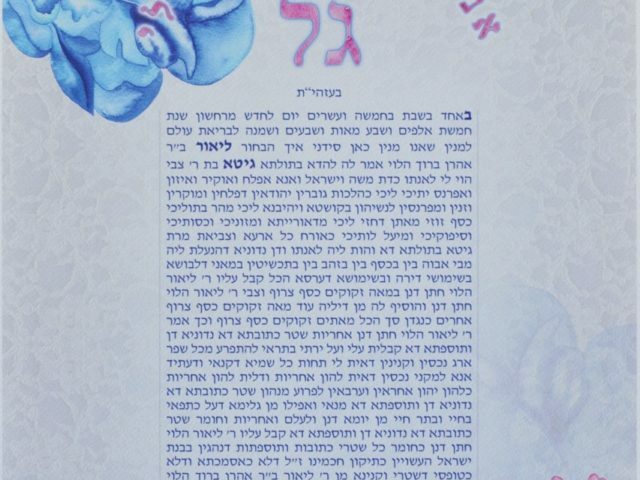 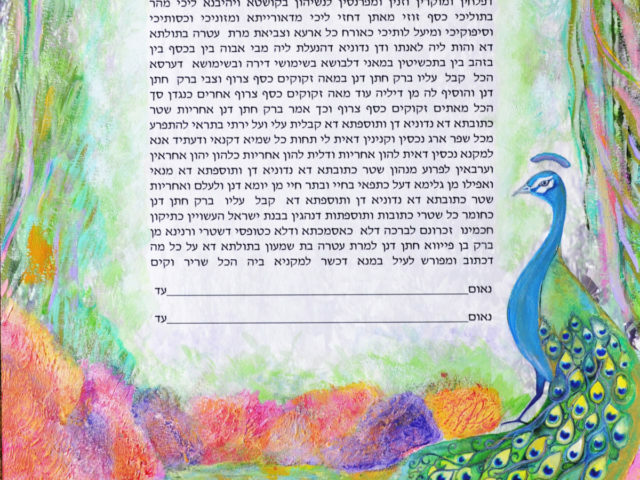 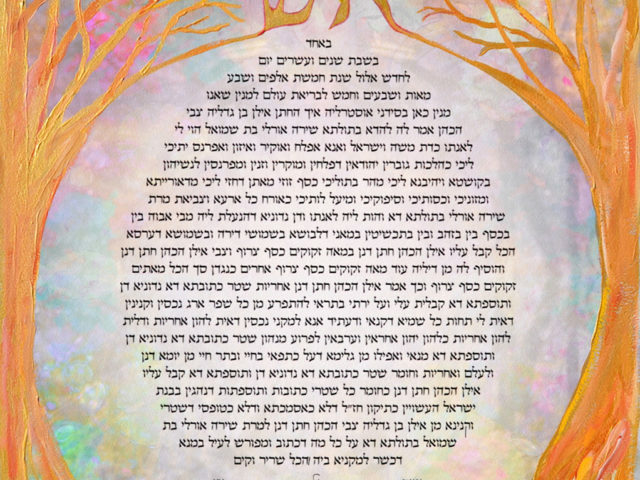 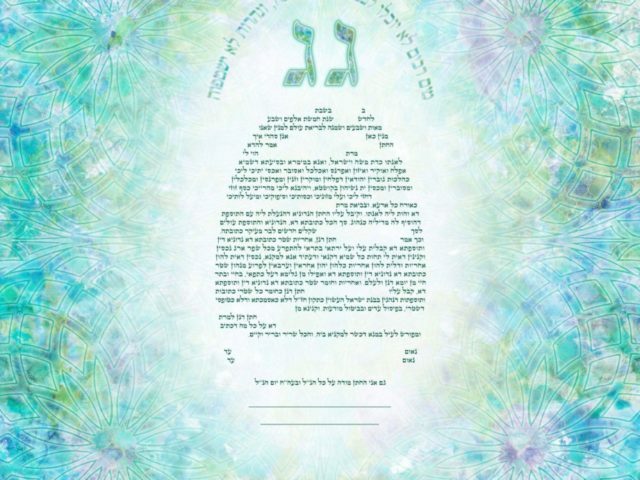 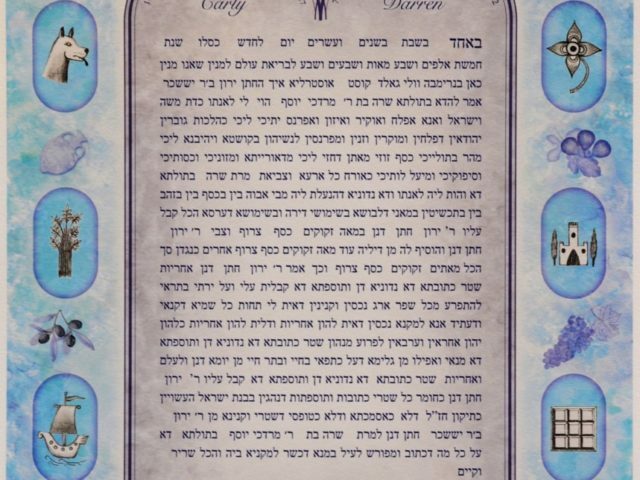 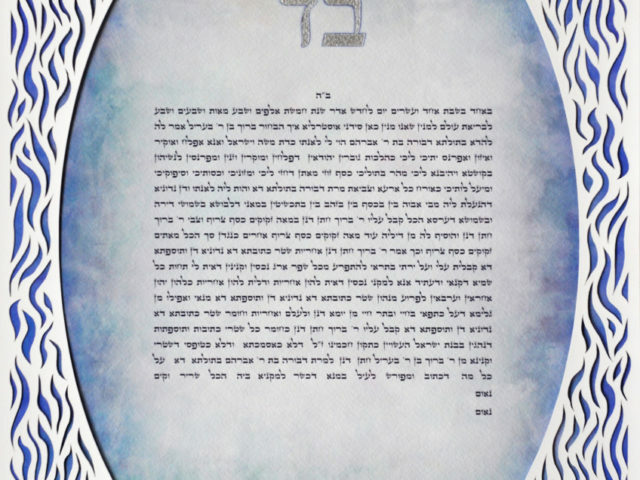 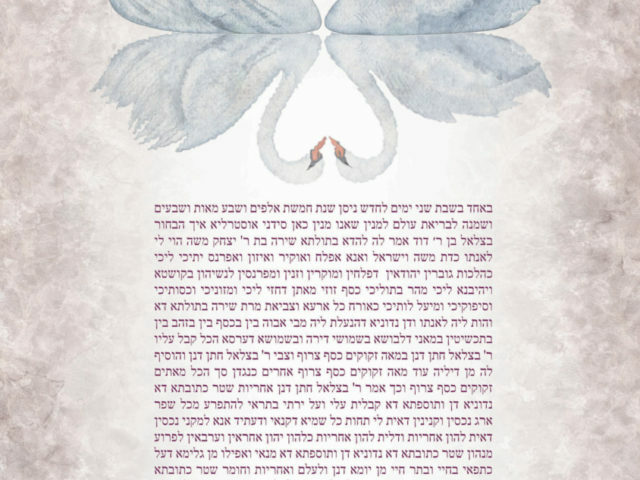 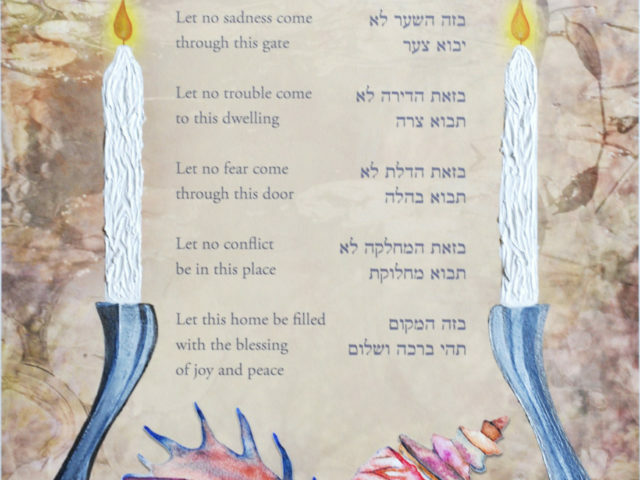 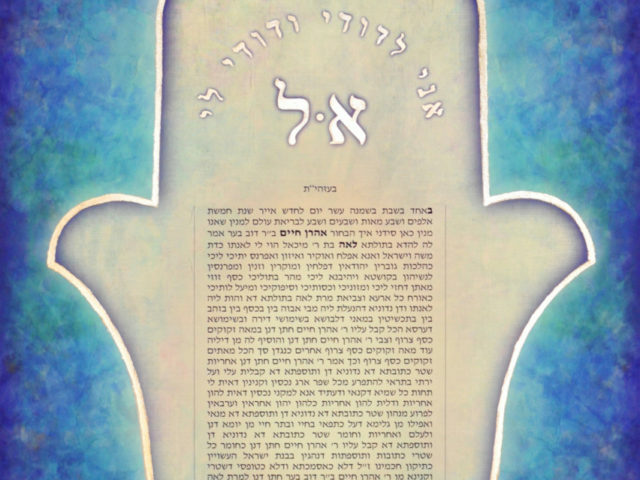 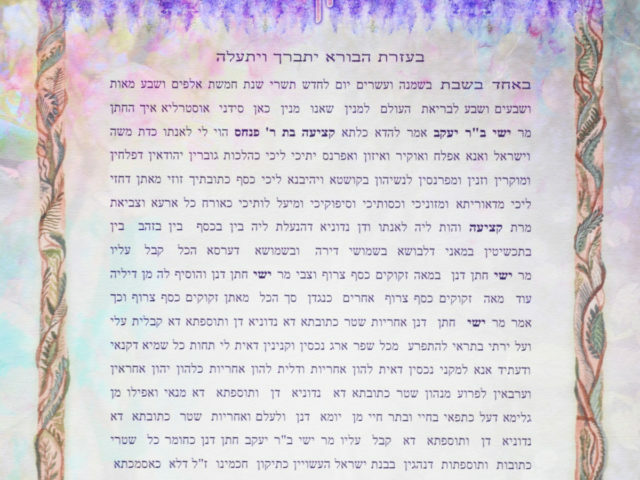 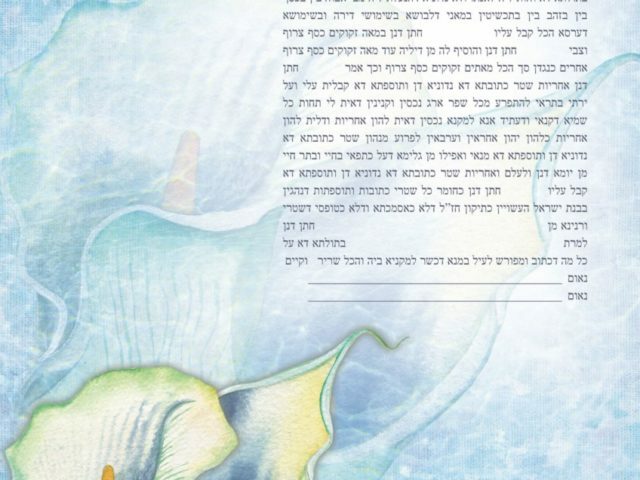 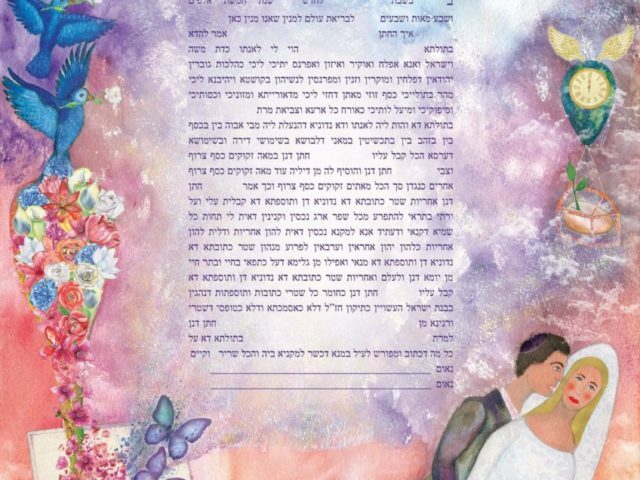 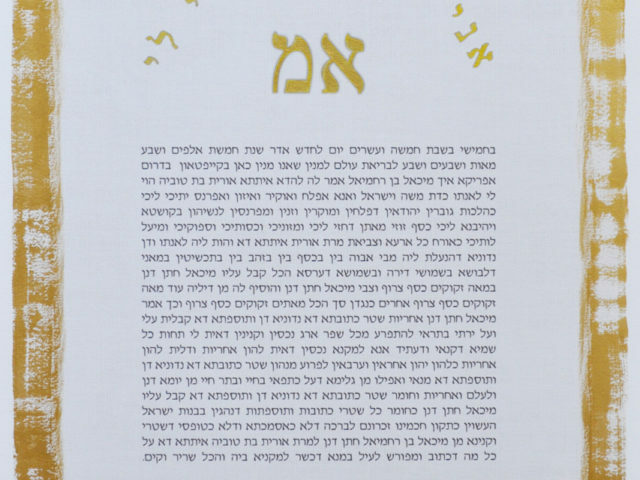 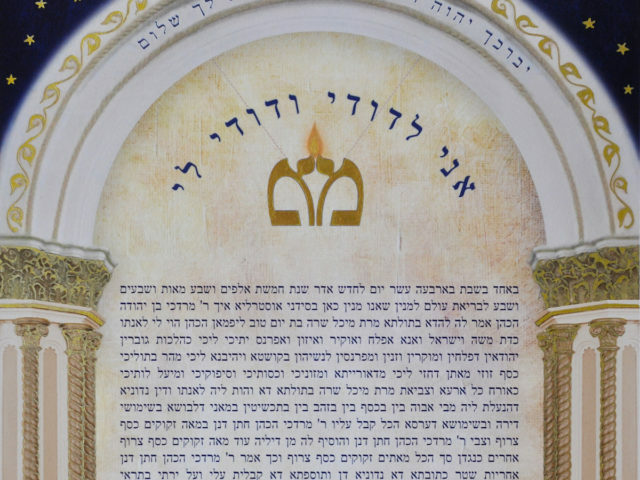 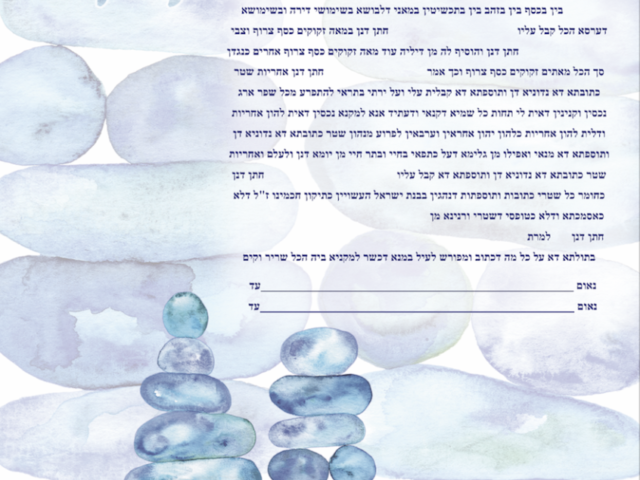 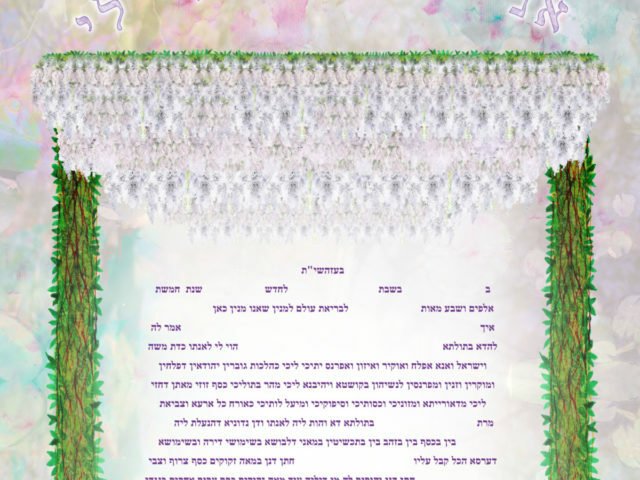 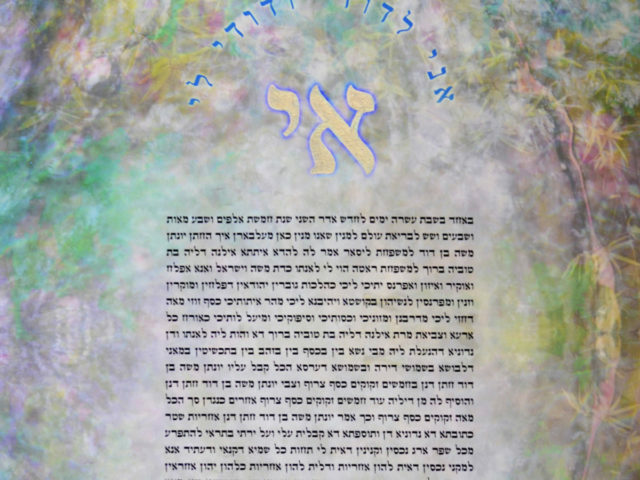 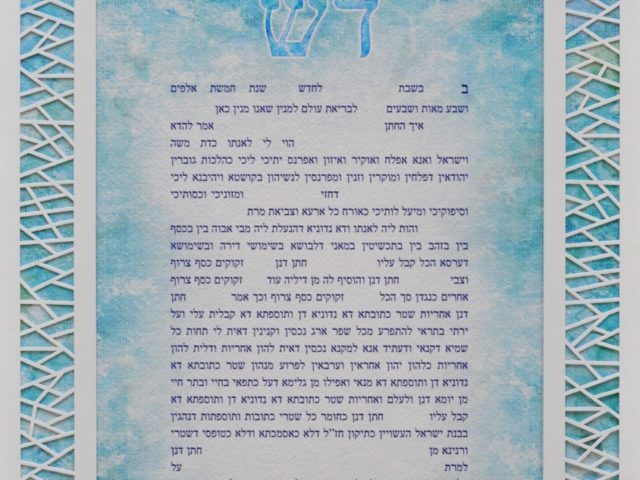 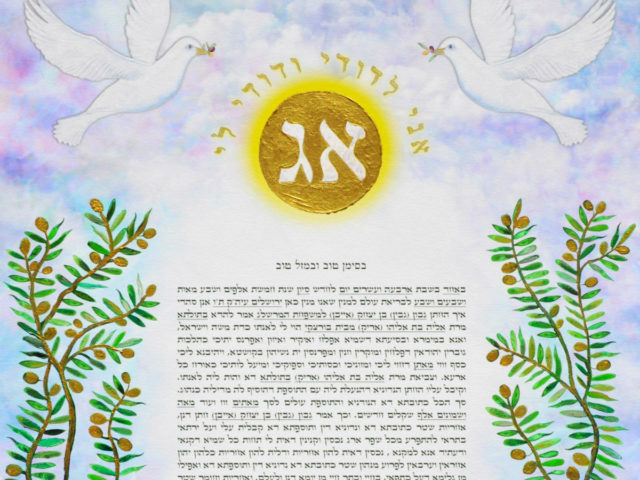 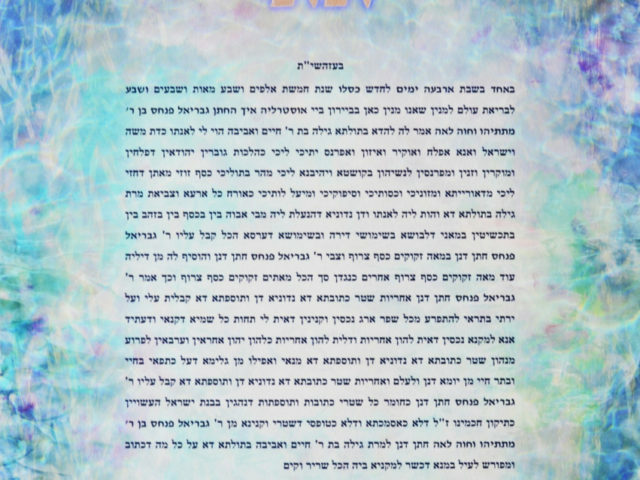 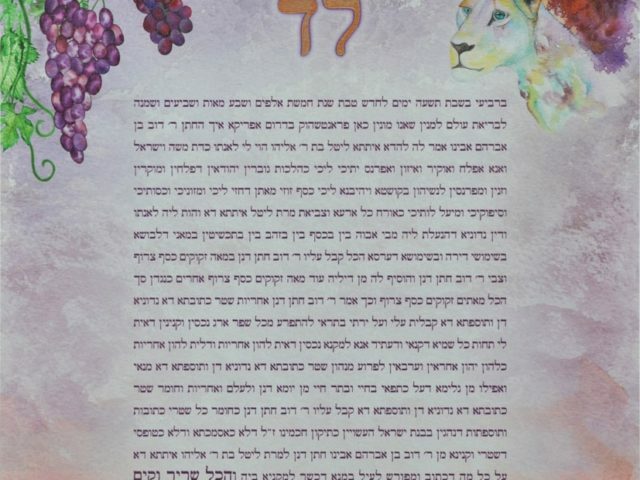 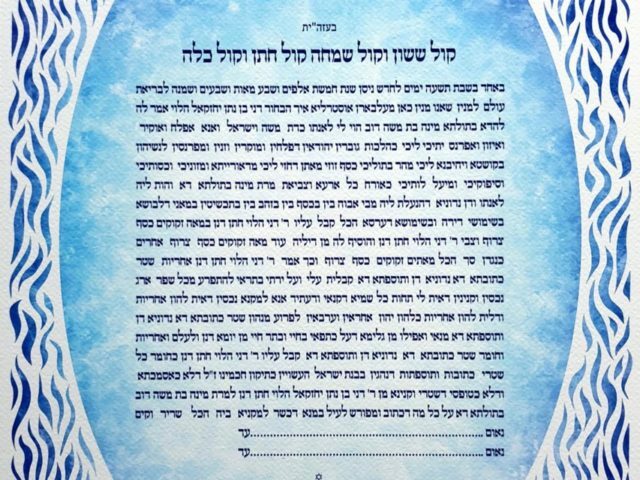 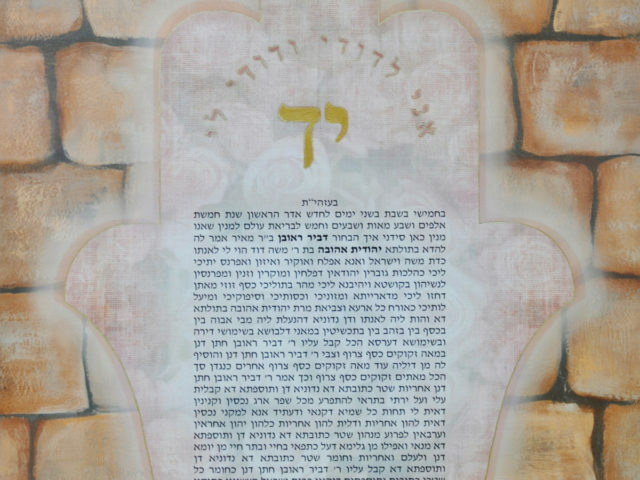 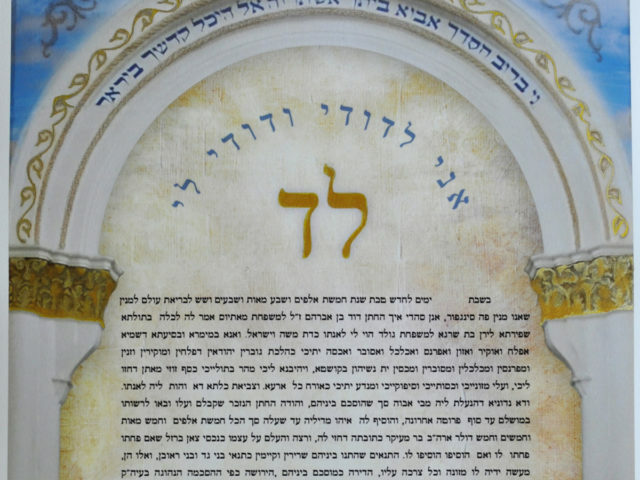 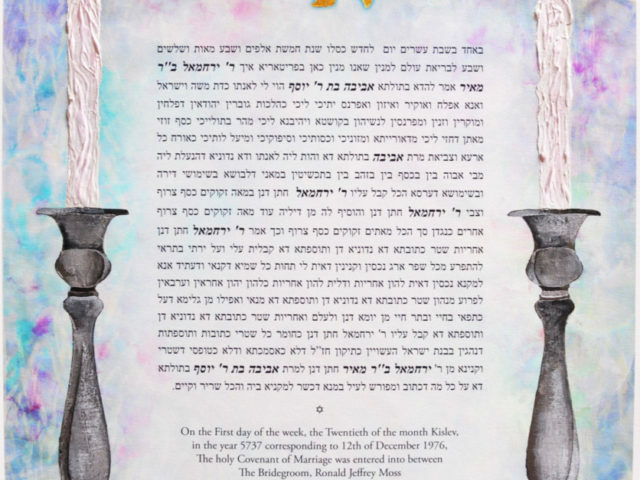 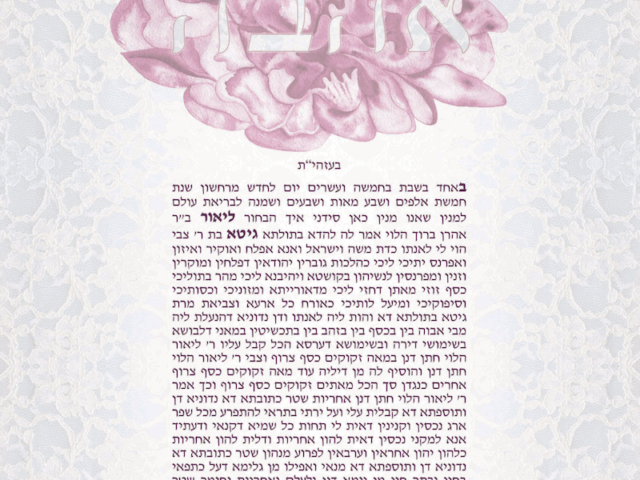 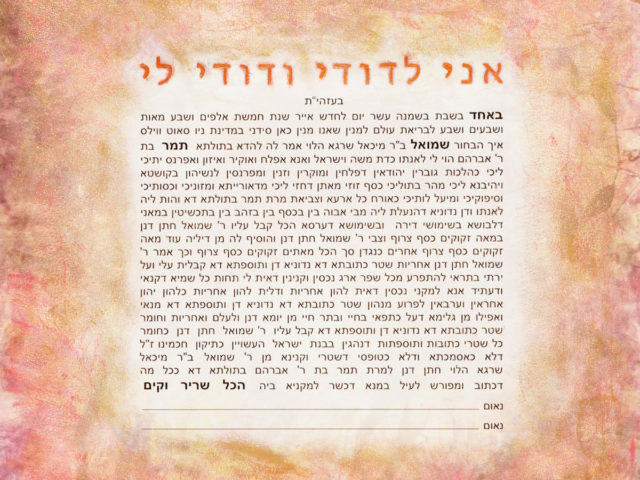 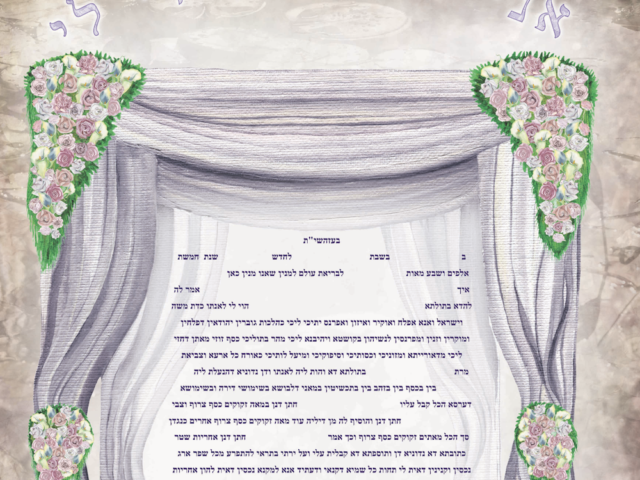 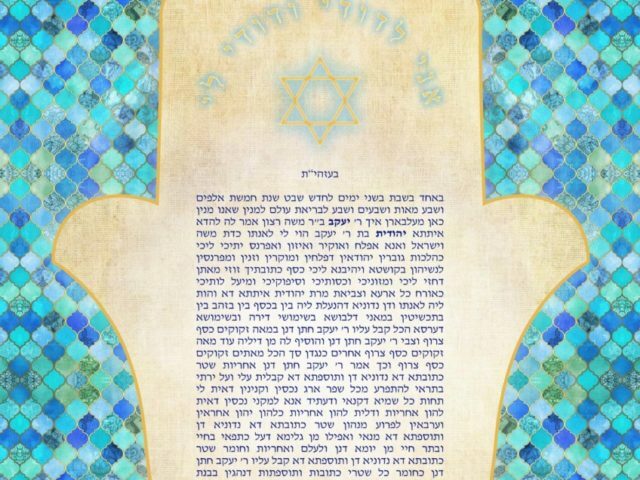 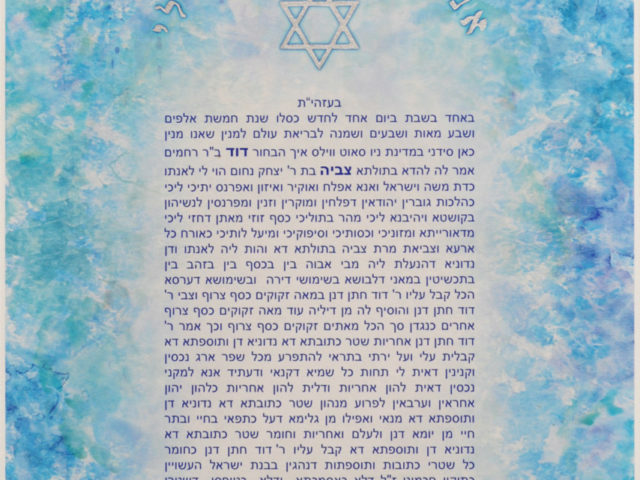 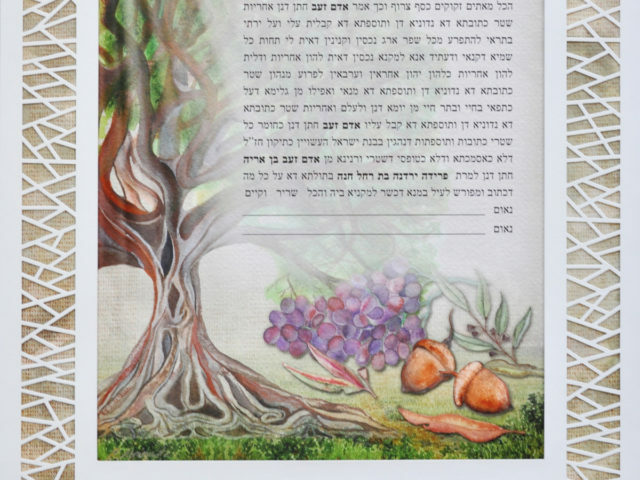 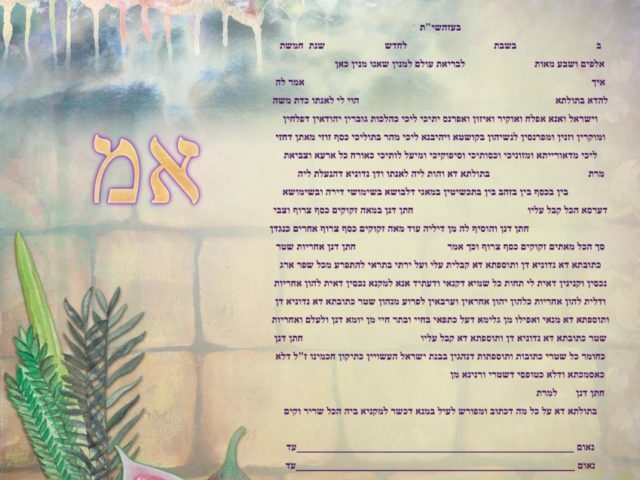 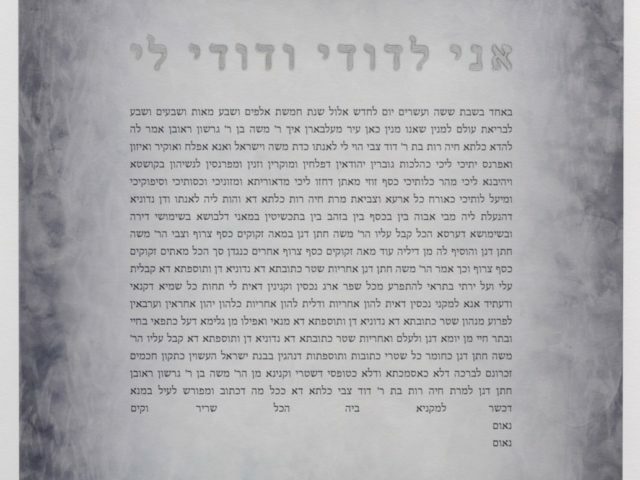 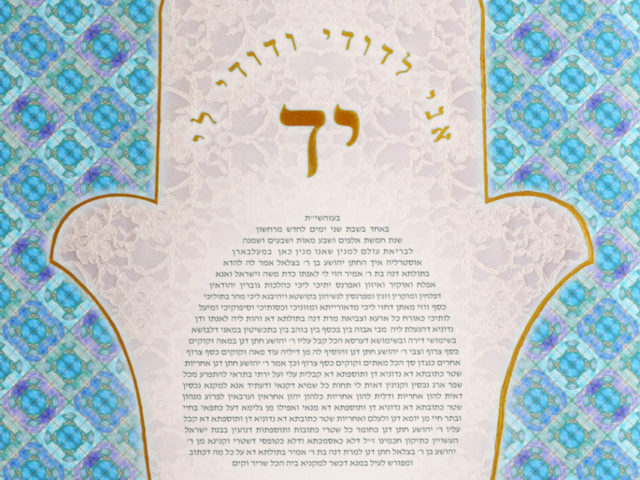 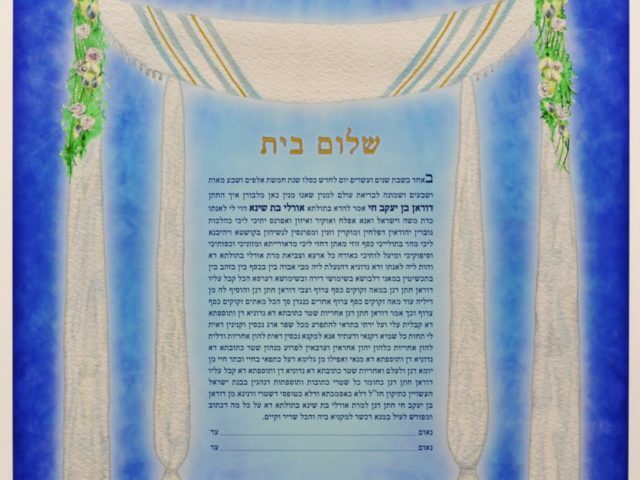 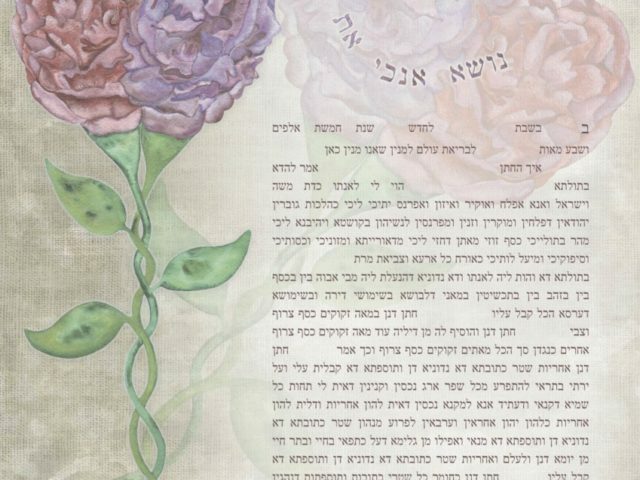 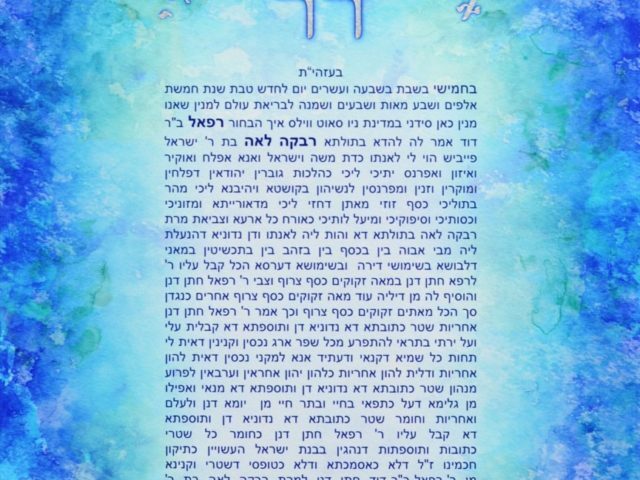 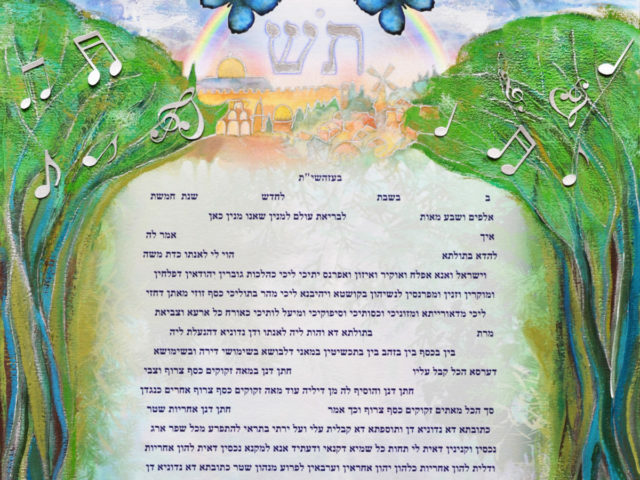 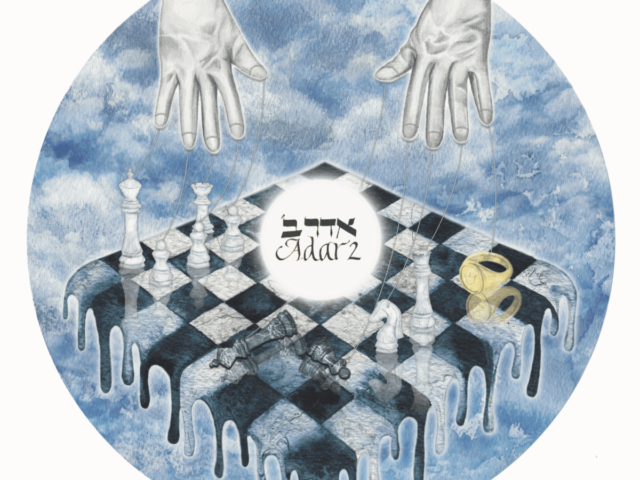 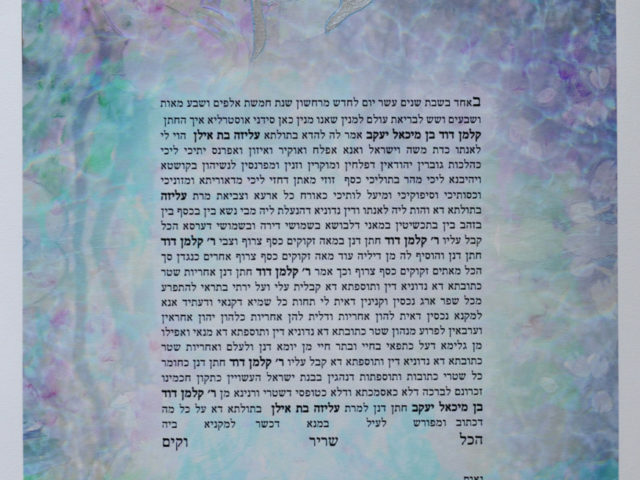 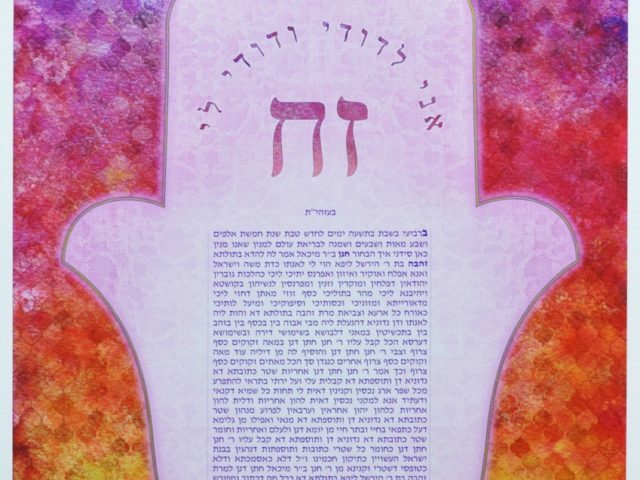 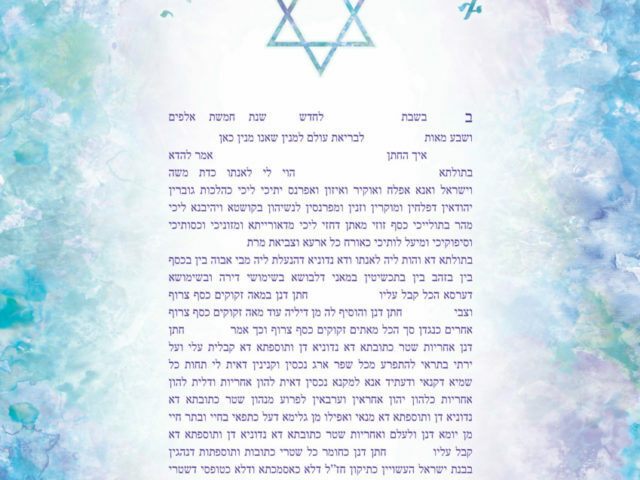 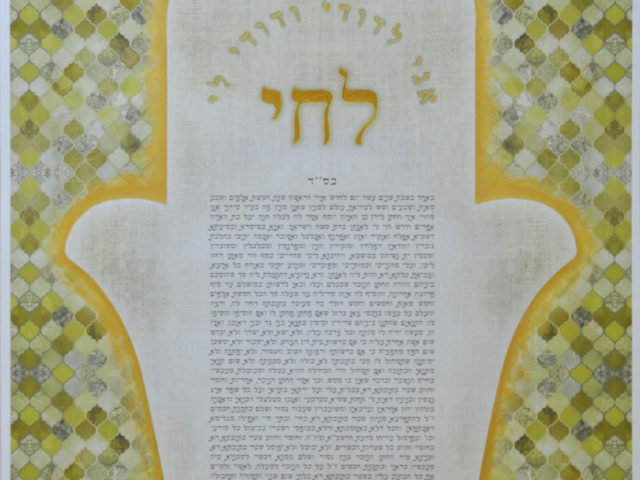 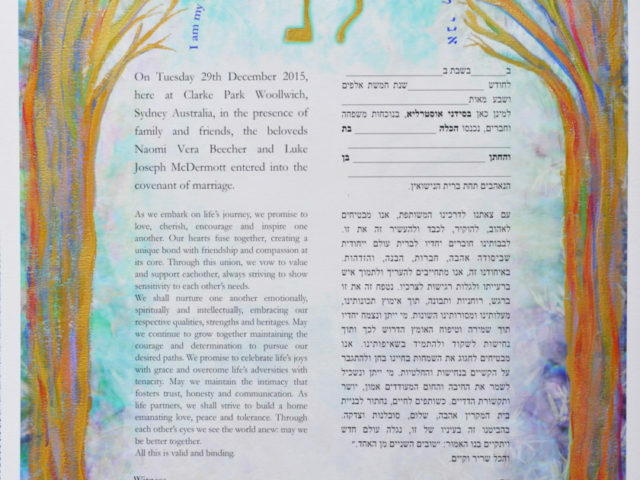 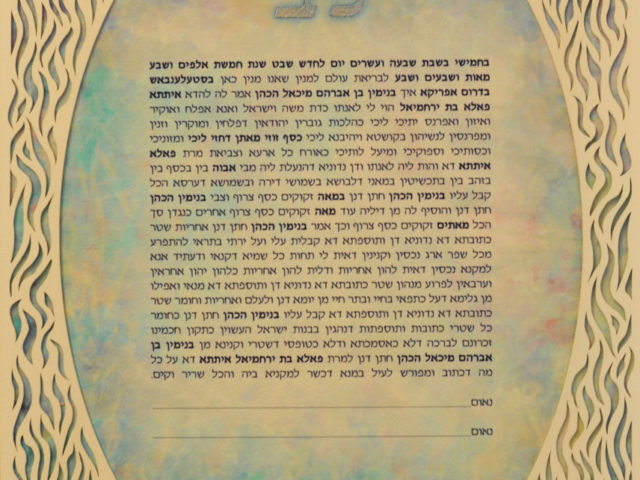 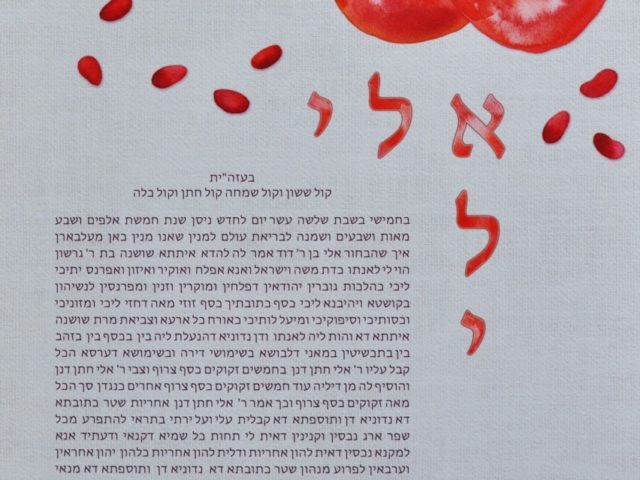 Paint your Ketubah with color, like no other.